We unearth stories – by fragments – each appearing, on different levels, to have their own significance – our imaginations in quest of the bigger picture. But, as more fragments come to surface, we are sometimes surprised at the meta-narrative which emerges. 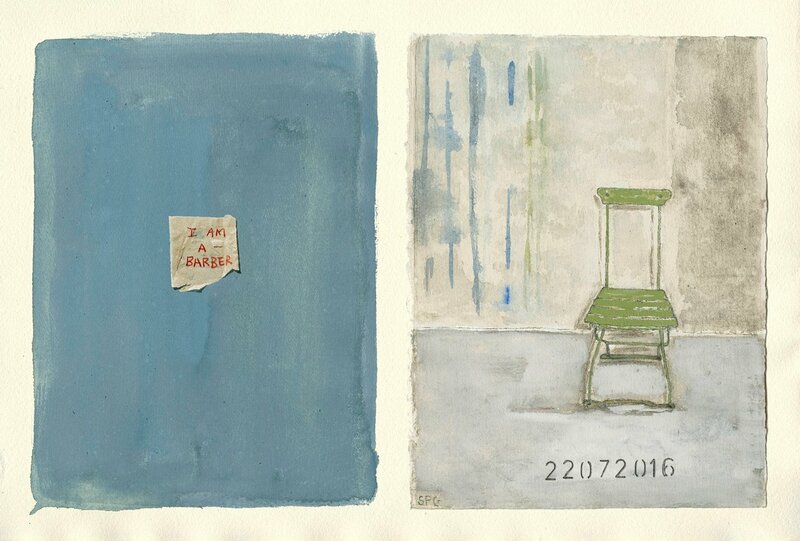 So began this work – a series of chairs – painted – empty – evoking the absence of their sitters. Haunting. And the artist called them “survivors”. These fragments seeming to be drawn from her personal experience. However, brought together as a collective body of work, a deeper connection to survival became apparent – and a book, Pool of Tears, was in the making – bearing testimony to testimony – linking survival past to survival present – revealing the conflict in survival – and providing a shocking insight into who the absent sitters were… are. Now, in this installation, a site of memory is created – further fragments appearing as “substantiating evidence” to the narrative that, beginning with the chairs, delves into the personal and collective well of experience.